Nearly 20 years of archaeological investigation of the Thames intertidal zone at Greenwich, mostly undertaken by volunteer teams, have revealed a multi-period site, representing activity in the area from the Mesolithic period to the modern day. Part of the Monday&apos;s at One Autumn series. 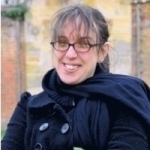 Nathalie Cohen is an archivist, field archaeologist on excavations and foreshore and built heritage specialist at the Museum of London Archaeology (MOLA). She is also currently an Honorary Research Associate at University College, London and the Cathedral Archaeologist for Southwark Cathedral. One of the earliest observations of archaeological deposits on the Thames foreshore is to be found in the diary of Samuel Pepys. During excavation in September 1665 for a dock in Blackwall, were found “perfect trees over-covered with earth. Nut trees, with the branches and the very nuts upon them…. Their shells black with age, and their kernell, upon opening, decayed, but their shell perfectly hard as ever”. It seems likely that the excavations had encountered the remains of a prehistoric submerged forest, similar to the deposits now recorded at a number of locations along the foreshore, such as at Erith. However, active collection of artefacts by antiquarians only really began during the 19th century as Victorian infrastructure development led to an increased number of finds being retrieved, and sold to collectors. Under the directorship of Sir Mortimer Wheeler, excavations were carried out by the London Museum in 1928 on the foreshore near the mouth of the River Brent, a tributary of the Thames. Parts of a structure, dated to the 2nd-3rd century AD and interpreted as a hut floor (although more likely to be a collapsed fish trap hurdle), were revealed. Inter-tidal zone investigations were also undertaken from the late 1940s onwards by Ivor Noël Hume of the Guildhall Museum. It was not however until the early 1990s that the stratified archaeology of Thames foreshore deposits began to be explored more rigorously. “It was a survey being conducted in 1993 at Bermondsey by Richard Hill which became the catalyst for the next phase of development” (Milne, 1997, 139); investigation of the foreshore revealed prehistoric peat layers containing faunal and lithic artefacts, and nearby, the remains of a post-medieval shipyard. Also in 1993, a student team from the Institute of Archaeology, UCL led by Gustav Milne together with Jon Cotton from the Museum of London recorded a roundwood pile structure of oak at Vauxhall, which was dated to the Bronze Age (cal 1750-1285 BC), and is believed to represent part of a bridge or jetty structure. These projects further demonstrated the enormous potential for surviving archaeological deposits on the foreshore and led to the initiation in 1995 of a Pilot Study in Richmond, jointly instigated by the London Archaeological Research Facility and the Museum of London. The success of this study led to the development of a three year programme of fieldwork (1996-1999), funded by the Environment Agency and English Heritage – the Thames Archaeological Survey. The foreshore of the tidal Thames from Teddington to Greenwich was extensively surveyed, with pilot studies undertaken on estuary zones in Bexley and Havering. Over 2000 features were recorded, ranging in date from the prehistoric to the modern periods, and a number of key sites were recorded in detail. For example, at Chelsea, a Neolithic forest of peat deposits and waterlogged trees, together with human and animal skeletal remains, was discovered. Excavated from within this context was a wooden club or beater dating to 3630-3350 cal BC (Webber, 2004, 126). The well preserved remains of a mid-Saxon fish trap (dated to 730-900 cal AD) were also found at the same site (Cohen, 2003, 12), while survey on the foreshore in Southwark resulted in the recovery of a tiny Roman intaglio appropriately depicting a boat (Henig and Ross, 1998, 325-7). Nautical remains were frequently recorded, including two large 18th century rudders, found reused as a gridiron, at Shadwell. The project was also successful in its aim of raising the profile of the Thames within the archaeological community and the general public. Officers presented lectures to local societies, held a number of ‘Open Days’ on the foreshore, and organised a two-day conference, and a temporary exhibition at the Museum of London (Webber, 1999). Funding for the Thames Archaeological Survey came to an end in 1999. The Heritage Lottery funded Thames Discovery Programme (TDP), which ran from October 2008 to September 2011, had two intertwined strands, combining fieldwork with public outreach. The project was managed by the Thames Estuary Partnership at University College London and the Thames Explorer Trust. Other partners included English Heritage and the Port of London Authority. The TDP Community Archaeologists undertook a new archaeological survey of the exposed and threatened sites on the foreshore. This new survey updated and extended the original Thames Archaeological Survey. Public participation was actively encouraged in the recording and subsequent monitoring of these threatened sites, and over 300 volunteers were trained by the TDP to be members of the Foreshore Recording & Observation Group or FROG. The FROG systematically monitors foreshore sites on a regular basis, providing a long-term sustainable future for the monitoring, understanding and enjoyment of the river’s historic maritime heritage. The outreach project worked with the wider community in Greater London, to encourage participation and interest in the history and archaeology of the Thames foreshore. This was undertaken through a programme of special events, information days, public exhibitions, the creation of educational materials for schools, and the development of a project website (www.thamesdiscovery.org). Since late 2011, the TDP has been part of Museum of London Archaeology, and continues to train volunteers to record and monitor the archaeology of the foreshore at sites across London, as well as organising lectures, workshops, an annual conference and regular guided walks. Nearly 500 people have now undertaken FROG training, and the project won the British Archaeological Award for Best Community Project in 2012. As part of our growing use of social media, we have tried to highlight the issue of ‘movement of sediment’ on the Thames foreshore, a phenomenon that appears to be exacerbated where there are frequent river services and jetties. ‘Hard’ structures such as stairs, like those at Trinity Almhouses, just downstream of the Old Royal Naval College, and the historic riverside wall in the same area, graphically demonstrate the severe erosion currently taking place along the Greenwich foreshore. Erosion of the foreshore deposits, especially westwards of the main access point at Queens Stairs is also noticeable: during the 1990s survey, the remains of a piled structure and baseplate – interpreted as a Tudor jetty – and the cofferdam timbers of the 18th century riverside wall were recorded. Since detailed survey work restarted in 2009, a number of new features have been observed and investigated. These include a series of baseplate timbers (now largely washed away) – which may represent the remains of a slipway, revetments likely marking the edge of the Victorian ‘Mudhole’, drainage features including a substantial timber sluice, chalk bargebed surfaces, a causeway, two possible Anglo-Saxon fish trips, part of the Tudor brick riverside wall, an intriguing cross-shaped structure (possibly a dolphin or the remains of a jetty) and over 150 timbers, comprising piles and baseplates, representing the remains of a very large jetty. This jetty, initially thought to be 20th century in date given its proximity to a large mooring chain dated to 1928, was subsequently assigned a medieval construction date and thought to be a landing stage associated with the ownership of the manor of Greenwich by the Abbey of St Peter at Ghent. However, the recent identification of pit-sawn timbers within its construction by Damian Goodburn of MOLA and the frequent use of elm indicate that the structure is more likely to be 16th – 17th century in date. Map regression and digital and hand drawn archaeological recording has now located the jetty accurately in relation to previously excavated features of the Tudor Greenwich Palace, while detailed documentary research by John Layt and Martin Hatton from the Greenwich FROG team has identified the structure as the ‘Long Jetty’ shown on Wyngaerde’s panorama of the mid-16th century, which is known to have undergone a number of rebuilds up until the 1630s. This jetty was known to have been used by suppliers for the palace and by royalty on occasion, but was not used by the public. However, scientific analysis of the timbers is still required in order to absolutely date the jetty structure, and further work remains to be undertaken to understand its construction and development. Part of the foreshore at Greenwich is now a Scheduled Ancient Monument; highlighting the significance of the archaeological remains at the site. The artefactual record (largely comprising chance finds by members of the public and artefacts retrieved by Thames mudlarkers and recorded by the Portable Antiquities Scheme) is similarly rich. These include items as diverse as a Mesolithic antler pick, a sherd of Anglo-Saxon stamped Ipswich ware, a ceramic chicken – probably dating to the 17th century, and a rare fragment of a ‘Raleigh’ clay pipe stem. A whole pipe of this kind was found in Bermondsey, and other examples have been found in Bristol and Plymouth, and as far afield as New York and Riga. The fieldwork on the Greenwich foreshore was supported by funding from the Heritage Lottery Fund, the City of London Archaeological Trust and the Crown Estates. The detailed survey of the site was undertaken by the MOLA Geomatics team, and the Foreshore Recording and Observation Group. The Greenwich FROG team regularly monitor the site, run guided walks, and undertake research on the structures and artefacts revealed during their work. Without them, a number of the discoveries discussed during this paper might have been lost without record.